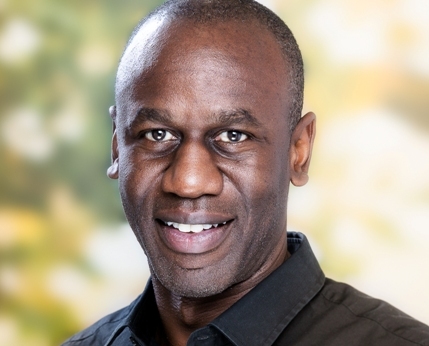 Dr Martin Wanendeya is an experienced implantologist with a special interest in implant and restorative dentistry. He is one of very few dentists to complete the Diploma in Implant Dentistry from the Royal College of Surgeons in London at the advanced level. Martin is committed to education in the field of implant dentistry. He is a tutor at the University of Warwick and in London and regularly attends postgraduate courses to keep up-to-date with the latest advances in dentistry. Dr Wanendeya is a member of the Royal College of Surgeons and the Association of Dental Implantology UK. Martin qualified from Bristol University in 1995. Patients just beginning to think about dental implant treatment may find it helpful to attend a complimentary preliminary consultation with our treatment co-ordinator and with Dr Martin Wanendeya, the implant dentist. This appointment does not include a clinical examination and it only takes 30 minutes. The discussion will help you consider the options for treating your dental problems and decide whether to proceed to a clinical consultation for implants. The preliminary consultation is free of charge for visitors enquiring through this website. Please use the button in the right hand column to request an appointment. Once you have decided in principle that you want implant treatment, the next step is a clinical consultation. This includes a comprehensive oral examination, and results in production of a fully-costed individual plan for your treatment. The fee for the clinical assessment appointment and provision of your personal treatment plan is £95 including X-rays. The cost of the treatment planning consultation is refunded when you proceed with the treatment. Intravenous sedation can be arranged for nervous patients. The practice has an on-site CT scanner and Clinical Denture Technician. The practice also offers hygienist services. Referrals are accepted for all types of implant and restorative treatment. The practice runs regular GDP implant training events and provides one-to-one surgical and restoration mentoring. Ten Dental provides quality dental care in a relaxed and comfortable environment. The practice offers a comprehensive range of services including all types of dental implants, periodontal, endodontal and orthodontal treatment carried out by highly experienced dental professionals in state-of-the-art surroundings.